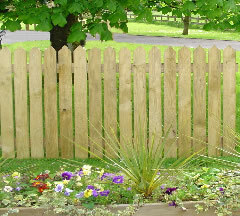 Strength, endurance and attractiveness are the qualities that make Glenfence the natural choice for your garden. Glenfence is made from sustainable and renewable resources. All Glenfence products are pressure treated using Osmose Naturewood Preservative. 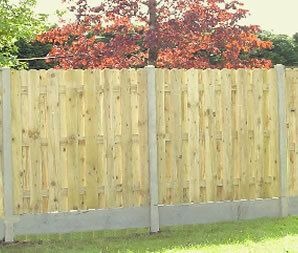 Click on a link below to find out more about the Glenfence range. To view our downloadable Glenfence PDF brochure click here. To view a list of Glenfence stockists click here. 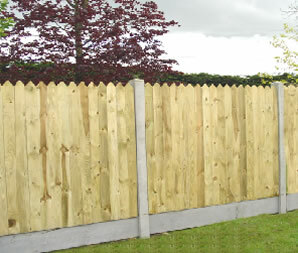 Glenfence closed panels are available in 2 different board widths, 100mm x 22mm and 150mm x 22mm. Closed panels are easy to assemble – just slot them into the H Post and walk away! 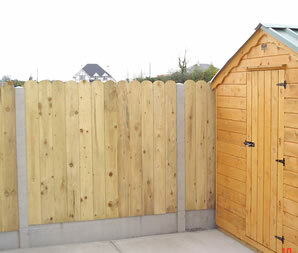 If you prefer the complete timber look, they can be assembled by fixing the panels to timber posts. They are sturdy and strong, with 40% thicker boards than our leading competitor. Our unique closed panels utilises a special backing board which maximises water run off, helping to prevent water damage. 1.8m x 1.8m and 1.8m x 1.5m. 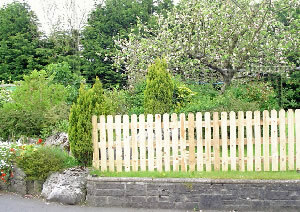 Glenfence ribbed picket fencing is strong and durable fencing for around the house and garden. It is pre-made for a faster and a more efficient way of fencing. 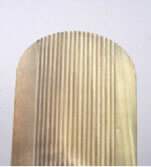 Made from 100mm x 22mm timber, ribbed picket fencing uniquely displays the natural beauty and grain of the board. 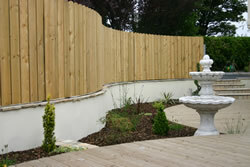 Glenfence sleepers are available in leading builder’s providers in 2.4m and 3.0m lengths. 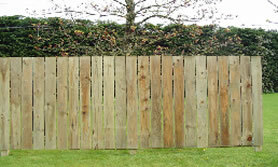 Timber post and rail fencing is one of the most attractive and effective fences you can put on your property. 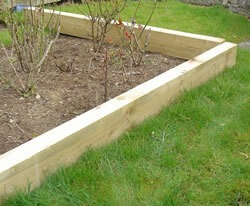 It is ideal for large gardens and for field boundaries. 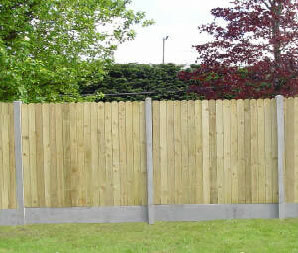 Our post and rail is available in four, three, or two rail, depending on the preferred style of fence. Our D – Rail is available in leading builder’s provider’s in 3.6m, 4.2m and 4.8m lengths. All Glenfence products are treated pressure treated using Osmose Naturewood preservative. Our aim is to conduct our operations in harmony with the environment, so with this in mind all Glenfence products are FSC® certified.